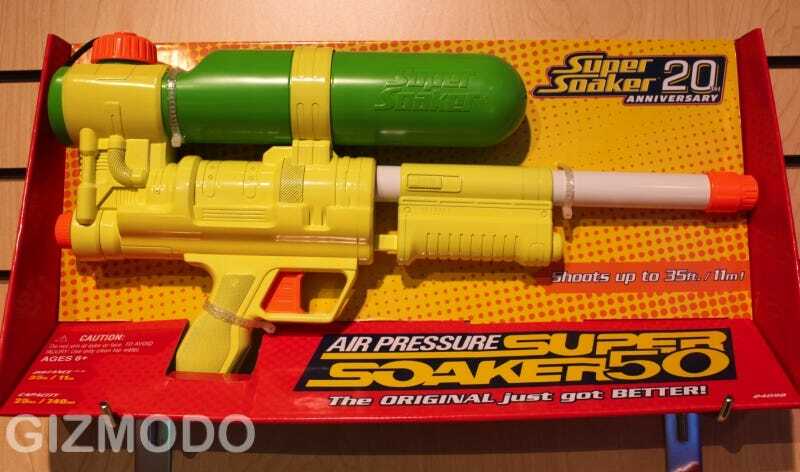 For it's 20th anniversary (I can't believe Super Soakers are 20 years old! ), Hasbro is bringing back the classic Soaker, complete with poignant 1989 neon, back to market. Will kids today respect the best? They've made one slight change-no longer can you completely unscrew the lime green bottle for a quick dump-over-the-head grenade attack; it's permanently attached, and refilling goes through a screwtop behind it. In all other ways though, it's the same classic. No battery-powered backpack reservoirs or any other similar ridiculousness in sight.